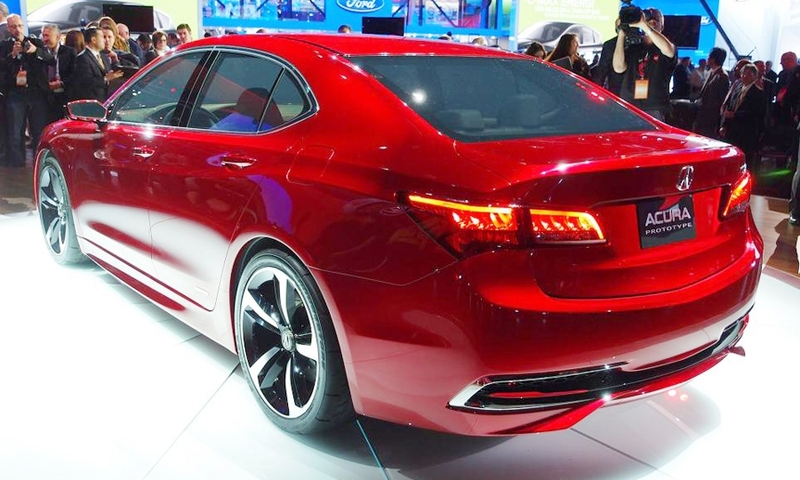 The TLX prototype, pictured, introduced at the Detroit auto show in January hints at the production model. 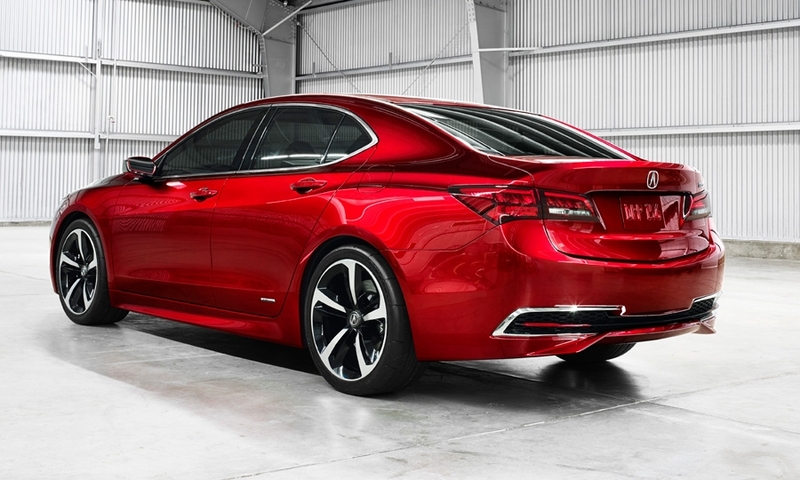 DETROIT -- Acura today unveiled a prototype version of its 2015 TLX mid-sized sedan, a car that will replace the TL and TSX sedans in its lineup. 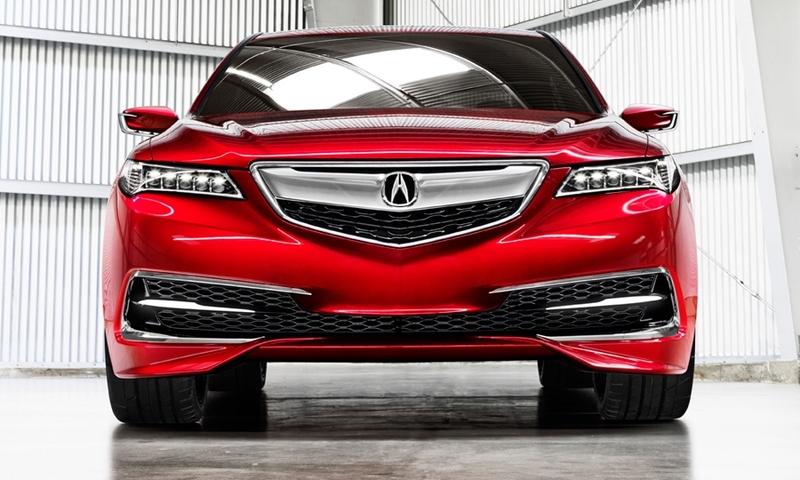 The TL was once Acura's top-selling model. But as consumer tastes have shifted toward crossovers, the TL has fallen to a distant third, behind the MDX and RDX crossovers. Acura's front-wheel-drive sedans have also struggled to compete against rear-drive cars from Lexus, BMW and Mercedes-Benz. 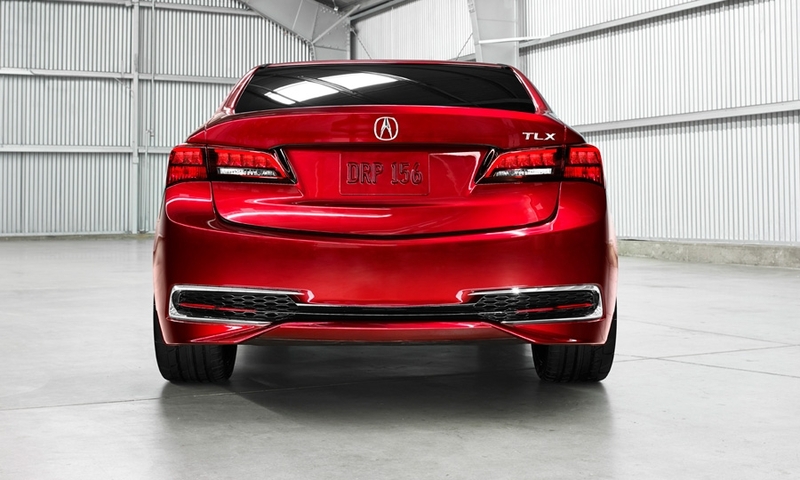 With the TLX, Acura will offer consumers a wider choice of powertrains than it has in the past. 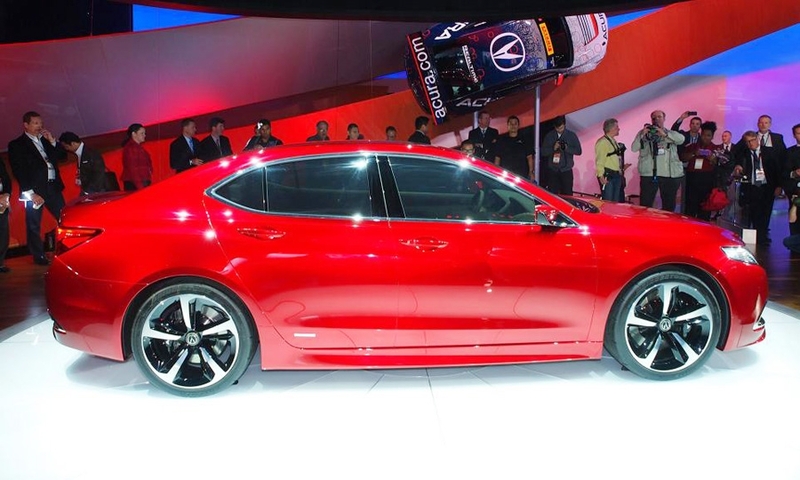 The sedan will be available with either a 2.4-liter four-cylinder or a 3.5-liter V-6. Those engines generate 185 and 278 horsepower, respectively, in other American Honda offerings. 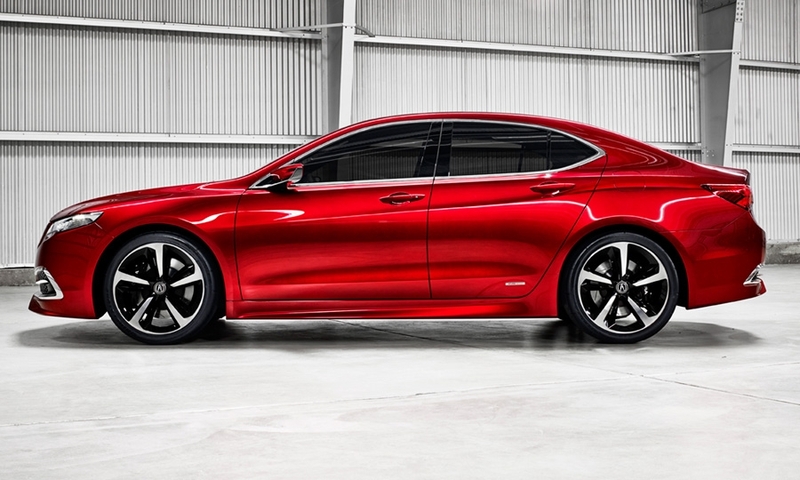 The TLX also will be the large-volume launching pad for Honda Motor's dual-clutch automatic transmissions. The four-cylinder engine will have an eight-speed transmission; the V-6 will get a nine-speed. Both the four- and six-cylinder cars will come with standard fwd with four-wheel steering; the V-6 has optional all-wheel drive. 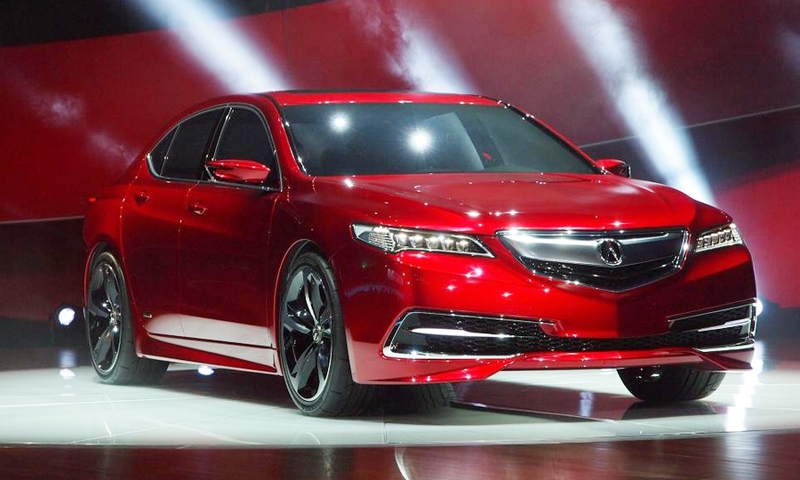 The production version of the TLX is likely to have the same measurements as the prototype. The overall length, at 190.2 inches, will be nearly four inches shorter than the outgoing TL's, but the wheelbase remains the same at 109.3 inches. The vehicle dynamics can be selected from Comfort, Normal, Sport and Sport-Plus modes, with each setting adjusting the power steering, throttle response, shift mapping, noise control, all-wheel drive and steering control logic, and climate control routing. 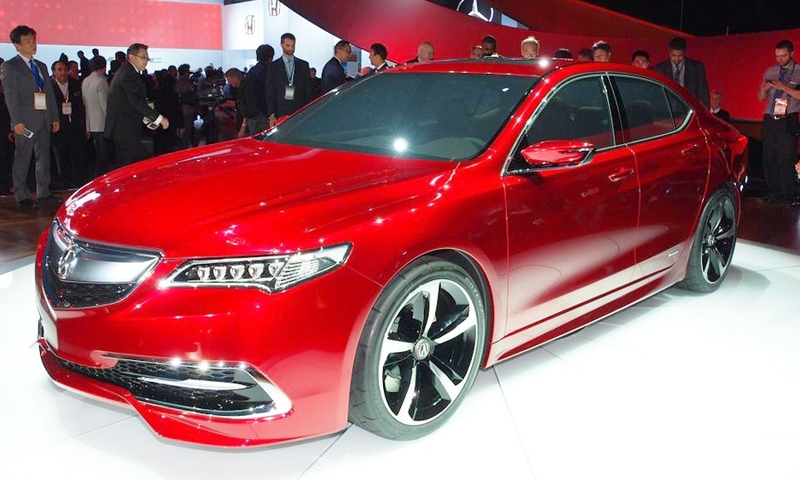 "The Acura TLX Prototype is a precursor of some amazing things we have in store for our Acura sedan customers," Mike Accavitti, American Honda senior vice president, said in a statement. "This completely new model will offer innovative technologies that break down the barriers between the driver and the machine, to deliver a more intuitive, connected and personal driving experience."